Selection of TOP 10 products and systemic solutions was held for the seventh time at the Ambient fair in Ljubljana. The products making the selection were seen as the best in combining functionality with technological and design excellence. 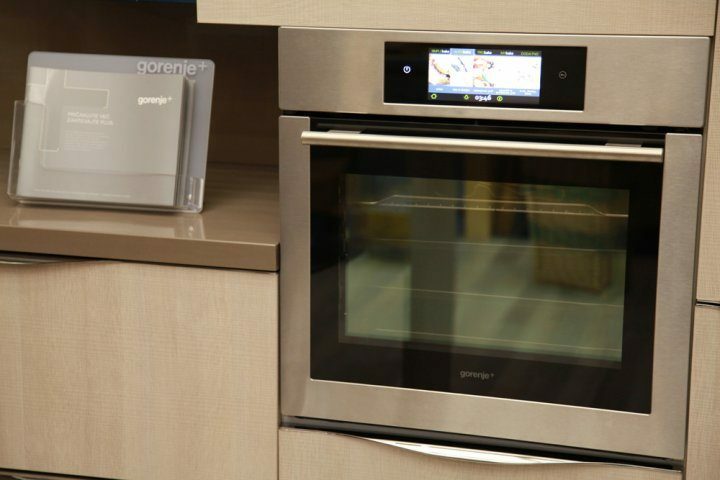 Among them was the Gorenje iChef+ oven+ . The iChef+ oven with the unique colour screen control module that also won the international Red dot Design Award 2011 is a new plus for more pleasure in cooking and consistently professional effects – through logical succession of touches on colour photos and icons! Operating an oven, a major challenge for many a cooking beginner, has thus become pure enjoyment. It is reminiscent of the interactive experience offered thus far only by consumer electronics. Interactive colour module offers many choices and links to all desired programs and functions. When you touch the screen, safely protected by a glass layer, the main menu will appear to let you simply set the time, date and language, choosing from 30 languages. 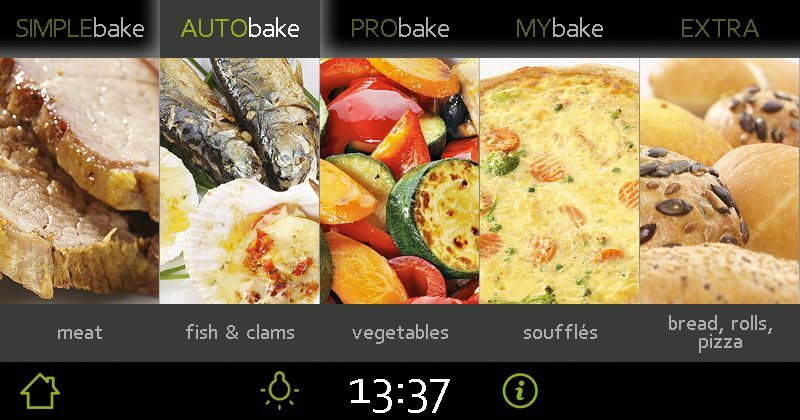 The main menu provides access to cooking programs ranging from SIMPLEbake, AUTObake, MYbake, EXTRA, and PRObake to STEPbake, unique patented function that allows programming up to three cooking steps with different, fully adjusted settings of heating mode, temperature, and duration. 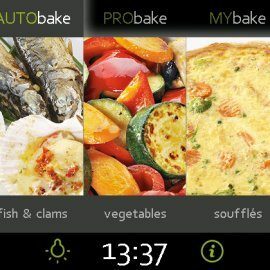 The STEPbake system is a true revolution in simple program control and cooking according to accurately specified steps. Simple, logical, innovative. Touch by touch. Image by image – and tasty results will always be there.